HONG KONG, Apr 26, 2018 - (Media OutReach) - PONGConnect, the first real-time digital beer pong system, has surpassed 100,000 users. The popularity of the exclusive gaming system has helped to connect beer pong enthusiasts and recreational players throughout Asia and Europe. The creator of PONGConnect beer pong tables and games, Atalon Ventures Limited of Hong Kong, used its mobile app and its PONGConnect Pro Tour tournaments to grow its user base. 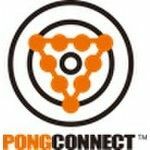 PONGConnect partners with entertainment service providers - from bars and pubs to event, festival and tournament hosts - to deliver its digital beer pong gaming platform. The tables' system unites teams and players of all levels and tracks their results through an app and website. Tournament and lifetime leader boards are updated in real-time. The interactive gaming experience is powered by smart sensors that provide an automated gaming process and detect gameplay, an automatic scoring system, and integrated digital light, audio and visual effects. "This is not just a table that we have created," PONGConnect and Atalon Ventures Limited CEO, Mr Steven Yip, said. "We are selling the PONGConnect experience; PONGConnect offers a set of highly popular, structured games, organised tournaments and leagues, and a service that essentially turns beer pong into a virtual sport like professional darts or esports." PONGConnect tables are used in 300 outlets across 15 cities in Southeast Asia and Europe. The company's rapid growth to the 100,000 user plateau and its popularity in Asia has been driven by its innovative technologies and patented games, which turn traditional beer pong into a digital experience that allows players to compete with each other all over the world. As part of its expansion plans and in recognition of its success, Atalon Ventures is launching a new PONGConnect digital beer pong game globally, and a pro tournament in Hong Kong. PONGConnect launched the eight-month Pro Tour 2018 Grand Prix in Hong Kong in March this year. The tournaments will run through November, and players can join the tournament in teams at any venues that are equipped with PONGConnect system. The contests will be held at venues in Hong Kong Island, Kowloon and New Territories. Cash and prizes will be distributed within the same day of each contest. PONGConnect's latest game, Combo Out, combines elements of its previous releases, Challenge and Countup. It is designed for two to four players. The game uses a score deduction approach. There are 15 rounds and the game has a time limit of 10 minutes. Each player has two rounds, and the first player who reaches a score of zero wins the game. Teams will be ranked according to their total scores each night, and a tournament champion, runner-up, second runner-up and third runner-up will be awarded each night. The total combination of cash and prizes to be awarded throughout the PONGConnect Pro Tour 2018 Grand Prix exceeds HK$500,000. In addition to their availability to establishments worldwide, PONGConnect tables are featured at three exclusive PONG-themed bars: PONG Zing! in Causeway Bay, the newly opened PONG ifc - Hong Kong's first cognac-themed bar, and PONG Taipei. PONG will be opening in Shanghai, Shenzhen, Singapore and London later this year.